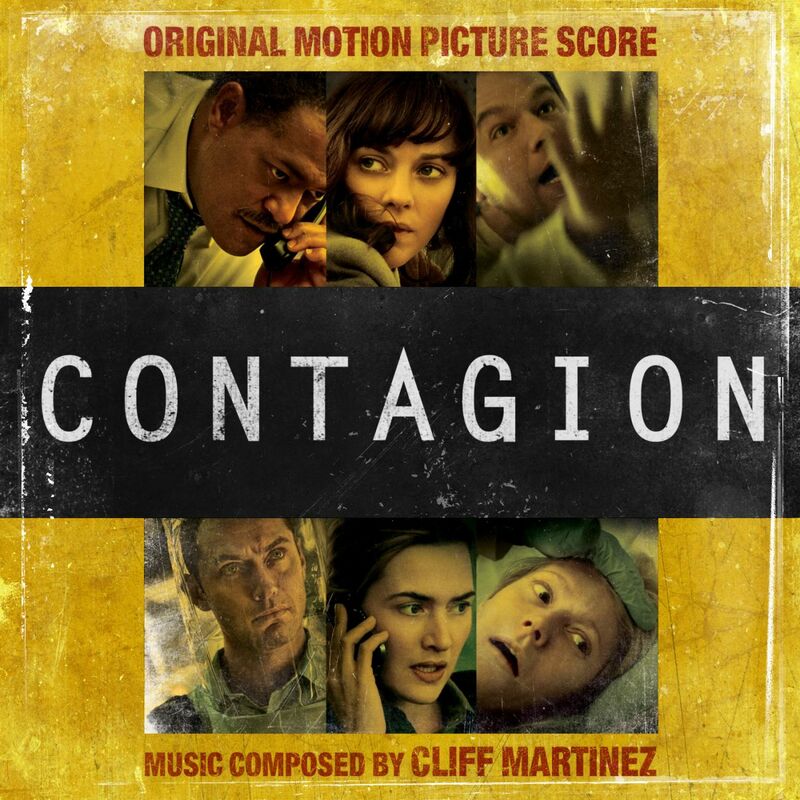 Custom covers for Cliff Martinez’ Contagion were an uncertainty for me for a long time. First and foremost, of course, because I really like the score with its vibrant, irresistibly propulsive tone. The razor-sharp, almost clinical-cold sound palette creates a very hopeless, merciless scenario in my head – which I like, oddly enough. But another important point was, that the whole art design of the film appealed to me immediately. 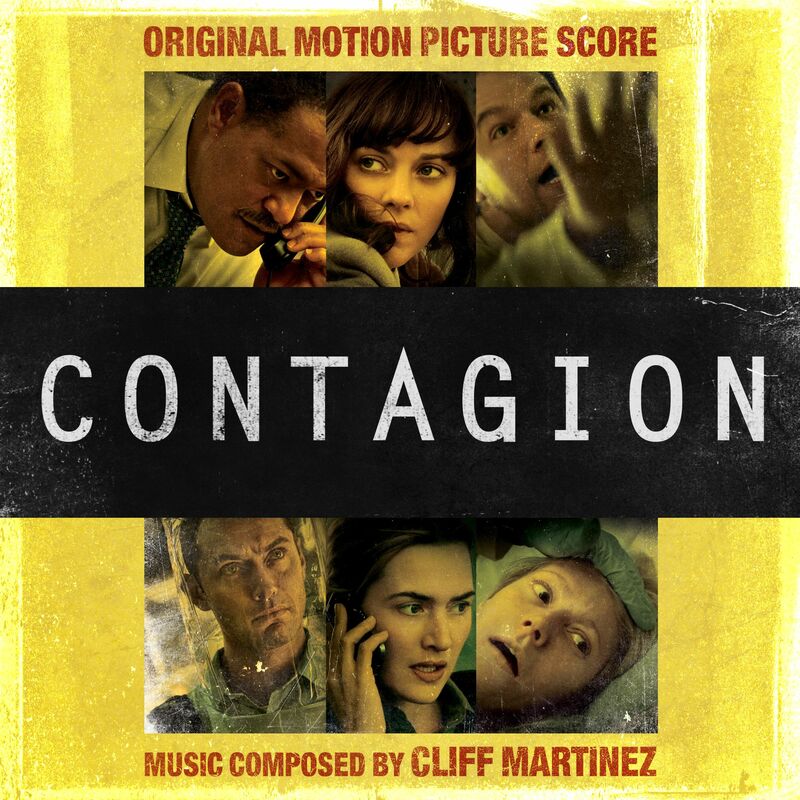 The interplay of colours and minimalism struck a nerve with me, especially on the teaser poster, which was used for the original soundtrack artwork (#1). I sat down multiple times and tried to come up with some stuff, but I couldn’t quite figure out a satisfying design. Much like the cover series for I Am Legend, suitable source material was very little to none. So I put it aside and almost forgot about it, only until I found a completely different custom art on the web (#2), which resparked my interest in the series all over again. Roberto Oteo has published a huge selection of custom covers on his blog Soundtrack List Covers. I like – especially on the cover for Contagion – his attention to font design. It’s one of the most important aspects in art design to me (speaking of it, “HelveticaNeueLT Pro” was used for the album credits). With my remaining two customs (#3, #4) I tried to continue the established design language to get a coherent cover series. I’ve seen some Contagion fan art, that went down the attention-catching route and placed emphasis on the apocalyptic doomsday scenario. To me that always felt like false advertising, since the film’s unique visual style is more mature, or let’s say observational – almost like a documentary. I tried to convey this mood with my covers as well. Concluding I’d like to go a little more into detail on custom cover #4, since I’ve spent the most time on it. I wanted to add wear and tear (just like the original) and tried different approaches until I found a happy medium. It was a thin line between adding layers and keeping the understatement of the original. 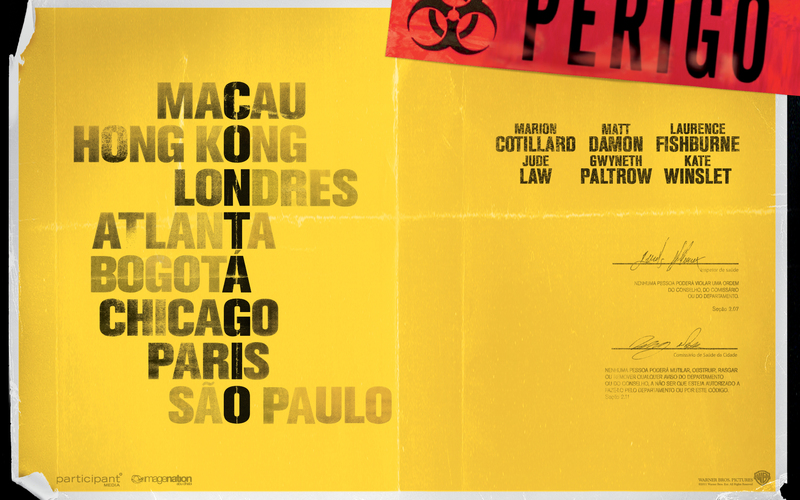 The yellow background layer is based on a royalty free texture which was altered to match the tint of the original poster. I thought about adding the poster fold from the original wallpaper, but in the end it would have been too much.